The medal was presented for combat service in bronze, and non-combat service in steel. 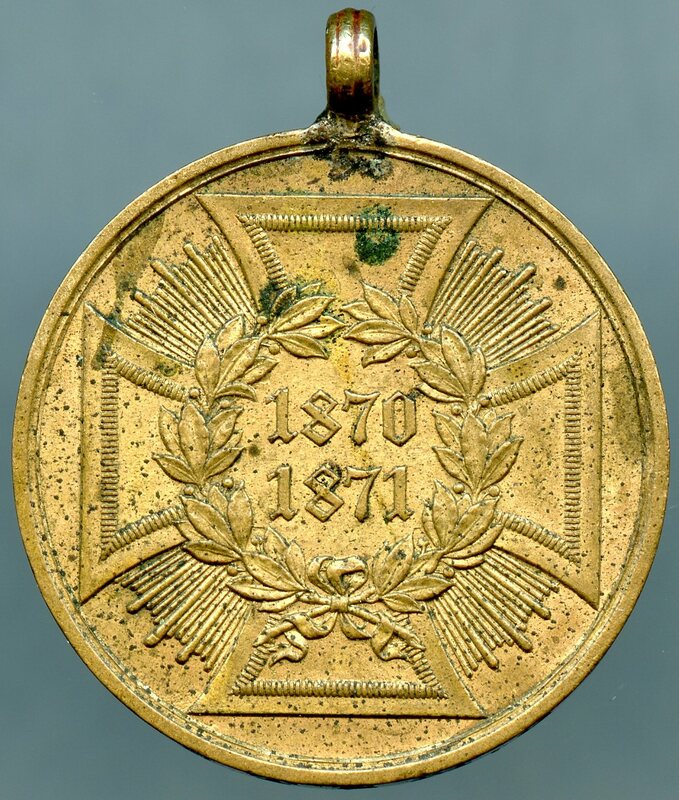 The medal for combatants was manufactured from captured bronze cannon barrels. Dem siegreichen Heere (To the victorious army). 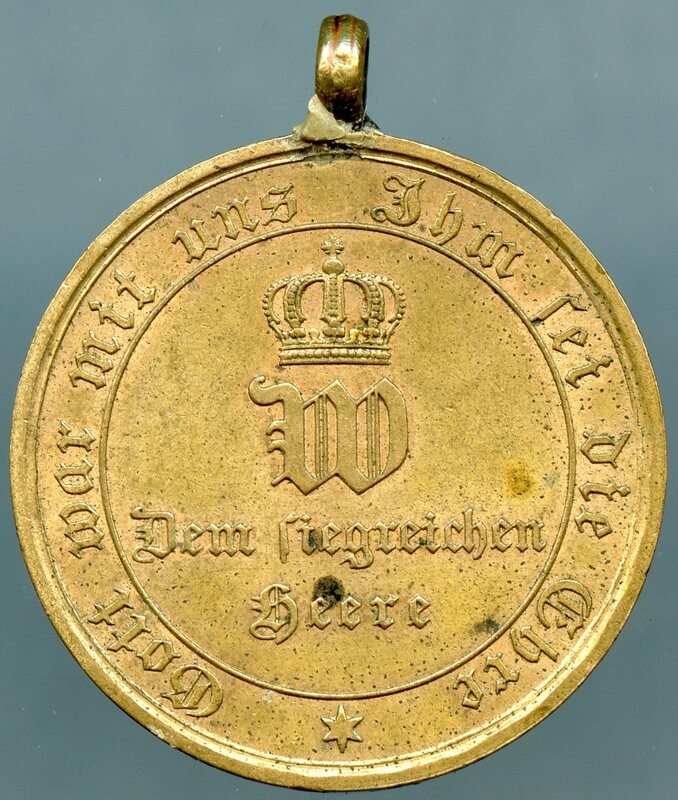 Inscribed around the edge is Gott war mit uns, Ihm sei die Ehre (God was with us, to Him be the glory). The reverse shows a cross with rays between the four arms. In the center of the cross is a laurel wreath surrounding the dates 1870 and 1871.